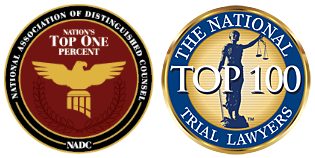 Best DWI & DUI Lawyer In Denver | Mastro Barnes & Stazzone P.C. Though most legal judgments fall under the categories of “guilty” and “not guilty,” real life isn’t so black and white. For example, the circumstances surrounding a DUI arrest can be much more complicated than they might seem in a courtroom. If you’ve recently been arrested on suspicion of DUI, let the Denver DUI lawyers at Mastro, Barnes & Stazzone help convey the nuances of your situation to the court. Our DUI attorney in Denver has been defending Denver, CO residents for over 35 years. In Denver, CO, it is illegal to drive with a blood alcohol concentration (BAC) of .08% or greater. Under Colorado’s Express Consent Law, drivers must consent to chemical testing if a police officer has reasonable suspicion of DUI. Driving While Ability Impaired: If you are caught driving with a BAC between .05% and .08%, you may be charged with a DWAI. This is less serious than a DUI, but can still come with fairly harsh penalties. Zero Tolerance: Colorado has zero tolerance for young drivers caught driving under the influence. Drivers who are younger than 21 and have a BAC between .02% and .08% will have their licenses automatically revoked. DUI Fines and Penalties: DUI fines can be anywhere from $500 to $1500 for a first offense. Depending on the circumstances of the crime, some people may face up to a year in jail. On June 1, 2015 Colorado Instituted a felony DUI law. This law provides for the filing of felony charges for committing an alcohol related driving offense and having three or more prior convictions. Choose an attorney who has experience dealing with DUI, DWAI, and felony DUI. The DUI/DWI Lawyers in Denver at Mastro Barnes & Stazzone, PC can help if you have been charged with felony DUI. Marijuana may be legal in Colorado, but driving under the influence of marijuana is not. If you have more than 5 nanograms of active THC per milliliter of blood in your system, you may be charged with a DUI. Charging a marijuana user with a DUI is somewhat complicated, however, as marijuana affects different people in different ways. If you’re facing charges for driving under the influence of marijuana or another drug, it’s important to have a skilled Denver DUI attorney analyze your case and argue on your behalf. If you are charged with a DUI, consider setting up a meeting with DUI attorney Denver. If there’s some doubt regarding your guilt, Denver DWI lawyer can get your charges dropped or at least reduced. For example, if you are caught with a BAC of .08% or .09%, a Denver DUI attorney from Mastro, Barnes & Stazzone may be able to get your DUI reduced to a DWAI. Our Denver DUI law firm has ample experience helping Colorado residents get through difficult times.